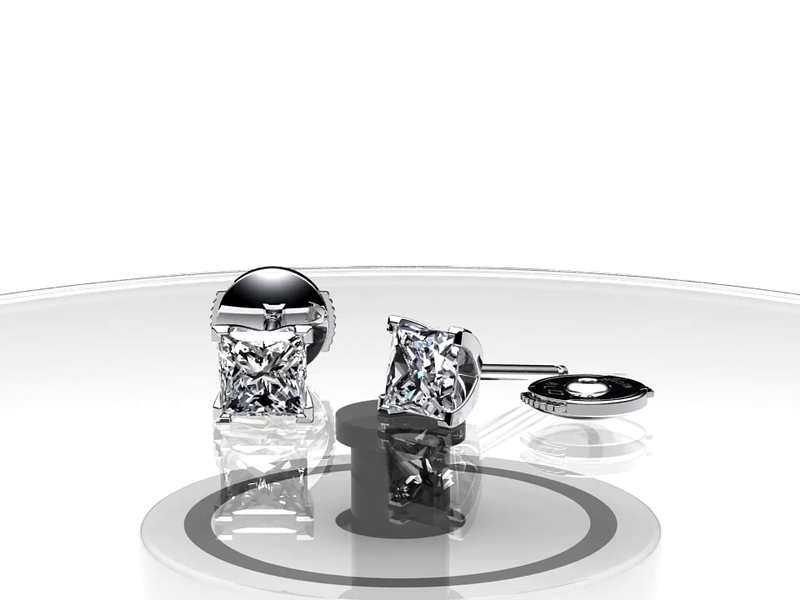 Earrings set with 4.0x4.0 mm princess cut stones. Size: 4.7x4.7 mm. Total metal weight: 1.3 g.